It was not until now, when she thought she had lost Robert, that Caroline discovered how much he meant to her.... But with her beloved, glamorous sister Harriet evidently winning his friendship and admiration, what can be done....? Due to vision problems, I must listen to audio books instead of reading books. Some of the audio books I have purchased have been misfires for me. Usually it is because I find the narrator's voice or the recording quality disappointing and it detracts from enjoying the novel. Other times, I have tried a new author and found I did not like the author. To avoid this kind of mistake, I have switched to audio books by my favorite authors such as D. E. Stevenson. I discovered D.E. 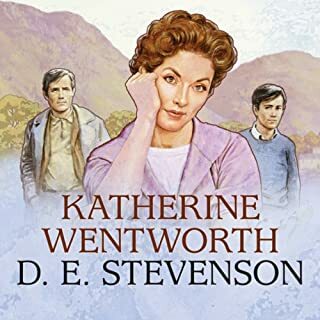 Stevenson decades ago but her books (she wrote so many) are difficult to find as e-books or audio books. 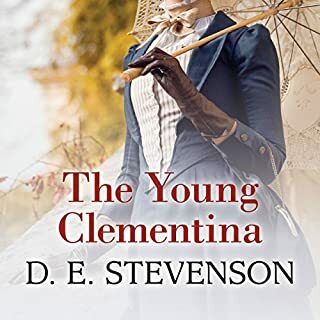 Fortunately, I found this one, which was one I had read a long time ago and I remember liking it, though I could not remember most of the plot. 1. The actual singing of the old carol The Ivy and The Holly by the character of the choir boy Peter. When I read this book, I had never heard of that song and had not known the tune. So this scene had less impact when read versus when heard. 2. The scene when Caroline Dearing rushes to the bedside of Sue and holds her hand and prays for her while Sue's husband is looking for the doctor. Caroline has been fetched by Sue's husband because Sue is eight months pregnant and has gone into labor after falling down stairs. It is a moving portrait of faith. I was an atheist when I read the book so I did not appreciate this scene years ago. A wonderful old fashion novel from the middle of the 20th century. 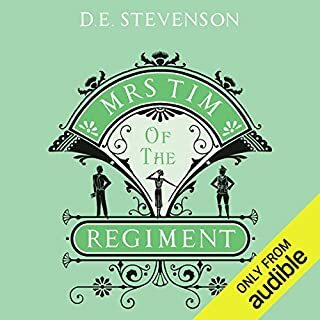 I love D. E. Stevenson's books and Leslie Mackie's narrations, so I was delighted to see this version of Vittoria Cottage offered by Audible. 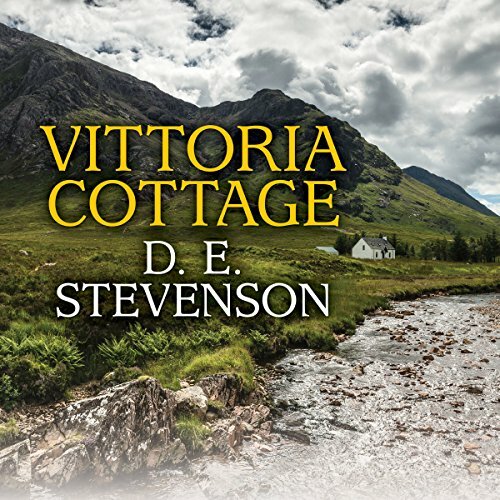 Vittoria Cottage is set in the days shortly after the end of WWII. Many modern readers and listeners aren't aware of how much the English economy was impacted by the war and how long that impact remained. Food, clothing and petrol (gasoline) were still heavily rationed. 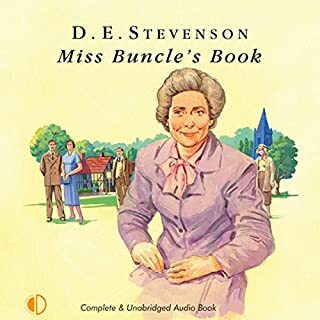 But as always D. E. Stevenson's characters carry on with grace and style. I won't go into the details of the plot, but this tale of a family has long been a feel good standby for me. I especially enjoy the time that Caroline, the main protagonist helps a young wife wait for the doctor to come on a very dark and foggy night as the birth of her first child, a month early is about to take place. While this book is the first of a trilogy of related books it stands alone nicely. 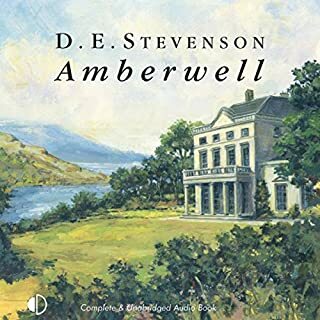 However, listeners will finish this book hoping that Audible and Leslie Mackie will be recording Music in the Hills and Winter and Rough Weather (alt title Shoulder the Sky) soon. 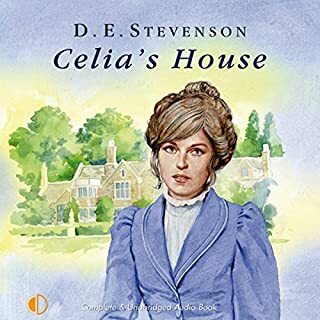 Although this book was well written, we didn't like it as much as Celia's House. The store was slow. It's not one we would reread.